we have just uploaded new BABY suits for 18 month-olds. 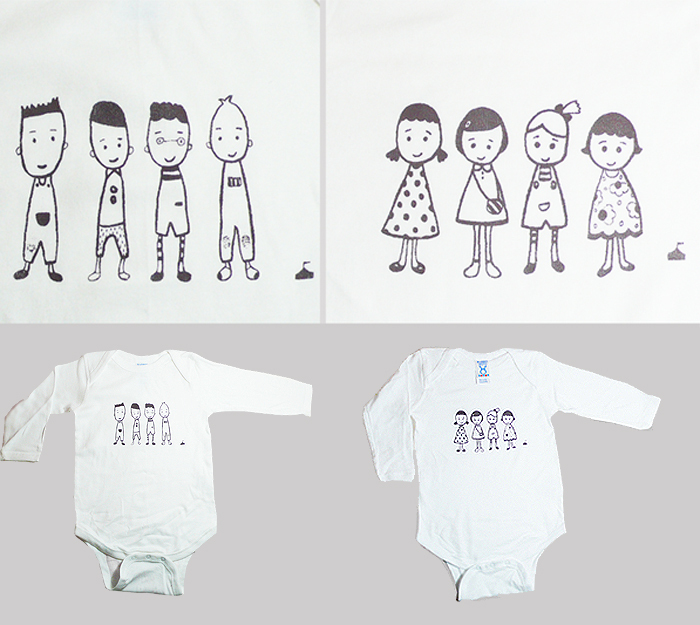 for the boys, we have a design of '4-boys' and for the girls is a design of '4-girls'. both drawings started out as a picture hand-drawn in pen and the drawing is transferred onto silk and then printed onto 100% cotton 5 oz. long sleeve white body suits (a.k.a. creepers or onesies) that are soft and not too thick. they are gentle on the skin and comfy even for warm weather. 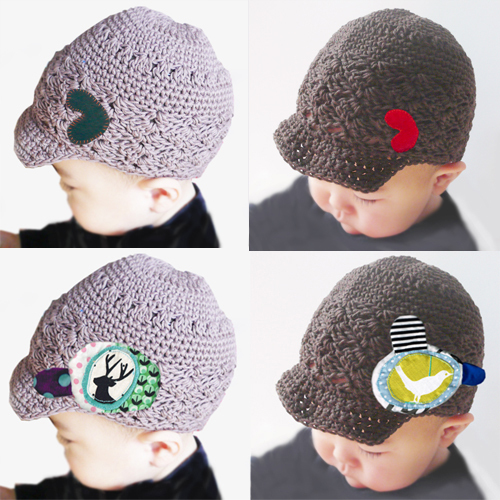 NEW handknitted baby beanies in organic cotton yarn for 6-12 month babies. Rui, the model here is 16 months though and the beanie still works. the item comes with a detachable cotton emblem each handmade in cotton in whimsical colors and fun designs. and there you have the most stylish baby around! with information about our latest new works as well as the events we are participating, plus news about sale campaigns etc. Below are the links to our past newsletter issues in the last 3 months. Register for our monthly newsletters for free with this form below!